Why does my wireless mouse stop responding? - Ask Leo! At least three times a week, my mouse will stop responding. Anything that I was doing will lock up and all I can get to work is Ctrl > Alt > Delete and Task Manager. Task Manager displays the program, but doesn’t indicate what’s stalling the mouse – at least, no indication that I can tell. I’m running Windows 7 Pro fully updated. It doesn’t matter which wireless mouse I use, the Logitech or the HP. It does not appear to be program or application centric and it happens in various programs. Any thoughts? I have several ideas about why this might be happening. But before we start, I have a question for you: when you say that the mouse is freezing, are you certain that it isn’t your entire computer that’s freezing? Is it a mouse crash or a computer crash? Now, I realize that you are able to get to Task Manager, but can you do anything with the keyboard? Like press Alt > Tab or Ctrl > Esc to go to the Start menu? If so, then it’s definitely the mouse. But if your mouse stops working and you can’t type into your computer at all, it’s possible that the computer itself froze. That means that you could have other problems. In that case, check out my article Why does my computer crash randomly? For this article, let’s say that the mouse itself is what’s actually failing. When you’re dealing with a wireless mouse, my first recommendation is to check the battery. If the wireless mouse signal gets weak because the battery is too low, the mouse just stops working. Another possibility is electrical or radio interference. These days, almost any device from your Wi-Fi router to your microwave to your cordless or mobile phone can cause this kind of interference, particularly if the signal to and from the wireless mouse is weak from a low battery. You may want to test your mouse with other electrical devices removed or turned off to make sure that those devices aren’t transmitting large amounts of radio interference. I don’t know how your computer is set up or how you feel comfortable working, but it’s also possible that the mouse may be too far from its receiver (that’s typically a tiny USB dongle that’s plugged into your computer). You can check this by putting your mouse close to the receiver. Roll the mouse to see if the pointer is in synch on your monitor and then move the mouse further away from the receiver as you continue to check. Once the mouse stops responding, you’re too far away. If this is the case and you don’t want to reorganize your workspace, you can actually purchase a USB extension cord. One end is a normal USB plug that goes to your computer and the other is a USB socket where you can plug the receiver module for the wireless mouse. I have one because my computer sits next to my desk and it’s about three feet away from the mouse. With my extension cord, I can place the wireless receiver on top of my desk without interfering with my workspace. Once you get past batteries, signals, and proximity, you need to start looking at the mouse itself and its software. Your mouse should always have the latest drivers for either your machine (in this case, HP) or its manufacturer (in this case, Logitech). In your case, I suspect that drivers are not the problem. Nonetheless, if the problem continues, you want to make sure your cross this off your troubleshooting list. The most effective thing that you can do is get a mouse with a cord that plugs into a USB port and try that. If the mouse works consistently without crashing, then there’s something wrong with the wireless mouse. If the corded mouse doesn’t work, then there’s something else going on. That’s when we go back to my theory that the computer is actually crashing. In that case, the mouse pointer no longer moving could be an indication that there’s a bigger problem afoot. « Previous post: What is wssetup.exe? Odd behaviour of the mouse, when everything else works fine, can be the fault of the miniature receiver that many wireless mice and keyboards are using. I have had two of them die completely and one would cause various problems like erratic movement, inconsistent dragging of selections and complete freezing of the mouse. Check out the warranty for your mouse because the warranty period can be much longer than you think. Even if you can’t find any purchase documentation, call the manufacturer’s service because if you registered your mouse, they most likely have a record of it. Both Microsoft and Logitech were most accommodating and replace the mice without much hassle at all. Leo, you didn’t mention Windows’ USB power saving feature, which sometimes drives USB devices nutso. Deep in the Advanced Power settings, under USB settings->USB selective suspend setting the user gets to select whether this feature is enabled or not. I have had to disable the feature to keep some of my USB devices alive and healthy. Thanks .. finally a real answer… seem everyone thinks we are morons — batteries, etc…. either that or they are playing tech… USB was enabled to suspend in the Advanced Power Settings…. Darn Windows 10 update, this should be a check for wireless mouse attached to usb. I’m in system settings and have options. I’m plugged in and in sleep mode. Should I go to hibernate or shut down? I recently had my microsoft wireless mouse die. I just bought another one, they are not expensive, and I don’t think they last forever. Mine was 5 years old, so it did well. Just got a heck of a lot of use. So, if it is not the pc freezing, and your mouse is old, get a newie. My mouse & keyboard both lock up occasionally, especially after recovering from hibernate. I’ve found that unplugging the receiver and putting it into a different USB port gets it working again. Then it continues to work when i put it back in the original port. I use a Digiflip WM006 mouse. Recently it’s been causing a lot of trouble, repeatedly hanging midwork, and today it stopped working altogether. I am thinking that either there’s a problem with the USB, or the batteries. Apart from that it was working perfectly prior to these glitches. Sounds like the battery. That would be the first thing to change. The mouse for my Apple Mac started to freeze randomly. I soon worked out (with the help of others) that it was the AA batteries I had just replaced. The new ones were Eveready, which turn out to be slightly shorter than Duracell (put the two together with a pencil across the top), so the connection in the mouse was being lost. I changed to Duracell and have had no problem since. I think you hit the solution right on the head when you said to try a wired usb mouse. If that works, take the wireless mouse and chuck it, if you are going to have to buy a usb extension, you might as well just use a wired mouse as isn’t that the whole idea of a wireless mouse to eliminate all wires? Recently i purchased a digiflip mouse from flipkart. my mouse receiver is connecting to other mouse but after disconnecting the receiver digiflip mouse is not working. but i tried many time but my mouse is not working.can u help me guys any one. I have a HP2711X COMPUTER and a wireless mouse'( HPPN633280/001CTFBXTAOD262D16000 My mouse froze and I cannot get my computer to RUN. I change batteries 5 times but the mouse does not work. What is wrong? I am using my mothers computer to send this . First thing I’d do is try a different mouse. It could be a defective mouse. More than likely it just needs cleaned. I wonder if someone can explain the unresponsiveness of my wireless mouse only (not the wireless keyboard) sometimes when the it’s idle for several second/minutes. 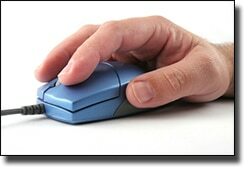 Under this condition, the mouse however does respond to the left click button but not to the position or wheel movements. It requires several movements in position to respond. The mouse is a mechanical/ball mouse and NOT an optical mouse. The mouse is with a RF wireless receiver connected to the PS/2 ports (keyboard & mouse) rather than a USB port. I have no problem with the keyboard at all. The batteries are always charged for both Keyboard & Mouse. ViewSonic Wireless Keyboard & Mouse Model VSWKBM. Any help or thought shall be greatly appreciated. Thank you. If it’s a ball mouse, then it must be very old. It might be just wearing out. Thank you for your feedback. Actually, I bought this ViewSonic desktop wireless set (Keyboard & Mouse) just recently (few months ago) as a complete brand new retail package. I totally agree that it was manufactured long time ago but I was the the first to use it. Accordingly, I was reluctant to open the entire mouse to look inside. As a matter of fact, I do have two sets one was bought used and was stored and I’m using the new set and the mice of both sets behave the same the way. I do not think it’s the sleep mode, if there’s any, because the mouse could become unresponsive in few second sometines rather than minutes. I don’t think either the pad surface that might delay the movement of the ball because I tried pressing hard on the mouse and move slowly with any effect. The RF receiver is very close (within few inches) to the mouse and, therefore, it’s not the distance from the receiver. Thankyou for this valuable information it helping my frozen issues too. So frustrating. My wireless ..when it freezes even the built in laptop one wont work. I have this problem everyday and I shutdown my Windows at least 3 times a day because of it..sheese. I also have been keeping my laptop plugged in at all times I unplugged it and it seems that it’s cooling down a little bit more I even bought a cooling fan to keep the laptop cooler I don’t know what else to do. This is happening to me daily now mostly when using Facebook. If I reboot, it will work again. It’s not the computer freezing as the mouse built into the laptop works just fine. I’ve replaced the batteries, updated drivers, completely uninstalled and reinstalled the mouse (this worked the best for a time), but now I turn it off and use the laptop’s mouse for a while then it will start to work again or I reboot and things are fine. Glad to hear others have the same issue. Is there need to do any settings for connecting wireless mouse with computer ??? Can anyone tell me reason behind it ?